Hi. 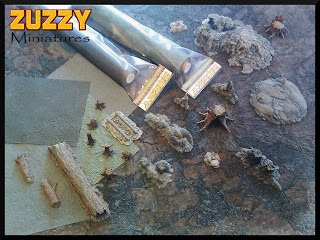 We're ZUZZY Miniatures and we're the manufacturer of high quality, miniature scenery for your tabletop wargames, pen & paper RPGs, scale modeling dioramas and model railroading layouts. We produce a large range of resin hills, mounds, trees, etc. And we are the makers of the Terra-Flex gaming mat, the durable rubber battlemat with a realistic sculpted surface. Although our main focus is on 25mm, 28mm and 32mm scale figures, much of the terrain we make is suitable for use with a much larger range of scales. Our current product lines are The Ruined Land, an apocalyptic landscape of scorched earth and dead trees, The Despoiled Reaches, an inhospitable land of sulfur flows and broken earth, Verdant Fields, a green and fertile grassy landscape, and The Wounded City, the battle-worn remains of city streets. We also have a line of Scenic Elements which are items that can fit into various different environments. We continually add new items to our pruduct line, so please come back often. We hope you'll find our miniature wargaming terrain useful, and valuable. 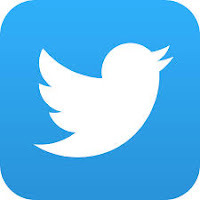 If you have any questions or suggestions feel free to contact us. Thanks for stopping by.